This chunky, reclaimed wood stool can be used as a seat or a plant stand. Hairpin legs and adjustable height. Made from authentic, hand-hewn, salvaged wood from century old barns and cabins in the upper Midwest. 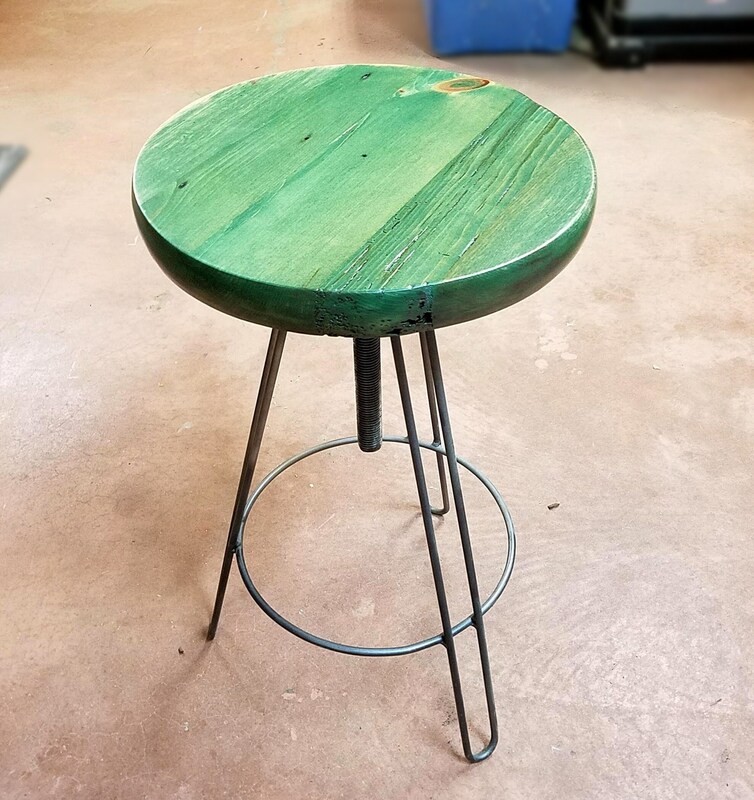 Height - adjustable from 24" to 28" - 30"
This stool will ship completely assembled for a flat $50. Each piece is UNIQUE and has its own story and history. 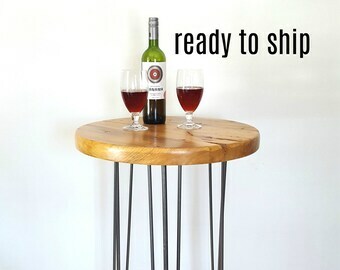 Like all reclaimed, upcycled, repurposed and recycled products there are flaws and nicks and knotholes. It's not Ikea.